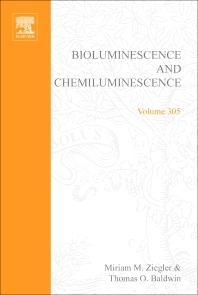 Since the publication of Bioluminescence and Chemiluminescence, Part B, genes have been cloned that encode luciferases from an array of bioluminescent organisms, novel applications of these genes have been developed, and much has been learned of the fundamental chemistry, biochemistry, structural biology, and biophysics of these intriguing enzymes. New strategies for application of chemiluminescence technology have been developed and refined, promising to further reduce the need to use radioisotopes in basic research and clinical laboratory settings. Methods for detection of low levels of light continue to push the limits of detection, allowing ready monitoring in real time of intricate subcellular processes within living cells. This book affords a glimpse of the state of the art of a rapidly advancing field, and presents to users of these methods a detailed reference of current activities in the field. The critically acclaimed laboratory standard for more than forty years, Methods in Enzymology is one of the most highly respected publications in the field of biochemistry. Since 1955, each volume has been eagerly awaited, frequently consulted, and praised by researchers and reviewers alike. Now with more than 300 volumes (all of them still in print), the series contains much material still relevant today--truly an essential publication for researchers in all fields of life sciences. Biochemists, microbiologists, biophysicists, molecular biologists, analytical chemists, cell biologists, and clinical chemists.